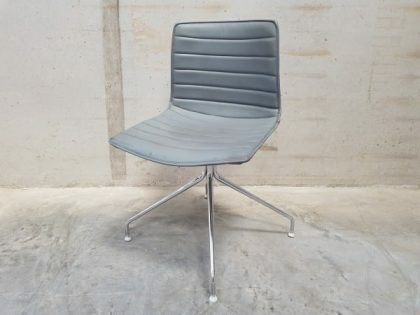 We currently have 3 of these stunning Arper Catifa Lounge Chairs in stock. 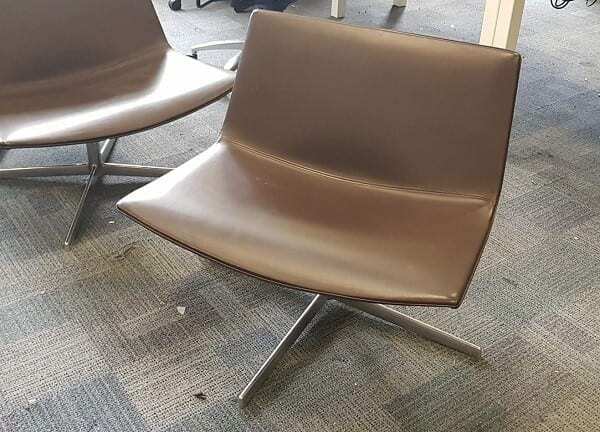 Finished with a brown luxurious leather wide seat and a brushed aluminium pedestal base, these chairs would boost the look of any reception or meeting area. Please click on the image located at the left hand side of this page to view these products in more detail. If you would like further information on these products, you can get in touch with one of our sales team who are available to take your call between the hours of 9am to 5pm, Monday to Friday, by calling 07944 508282. If you are viewing this page using a Mobile Device, then click on the Telephone Icon located at the bottom of this page, as this will put you straight through to our sales team without the need to input the telephone number into your phone. Alternatively, if you are unable to call us, or are viewing our website out of office hours, you can enter you details in our ‘Request a Quote Online Form’ below and one of our sales team will be in touch to assist you. If these products are not exactly what you are looking for, we have a wide range of other Second Hand Reception Chairs in stock at the moment, which you can view by clicking on the link.